I made this light and refreshing Sangria to go along with the Latin Pork & Tomatillo Stew I brought to a friend’s birthday party. I usually grab a bottle of red wine when I’m craving sangria, but today I thought starting with a dry white wine would make a nice change. 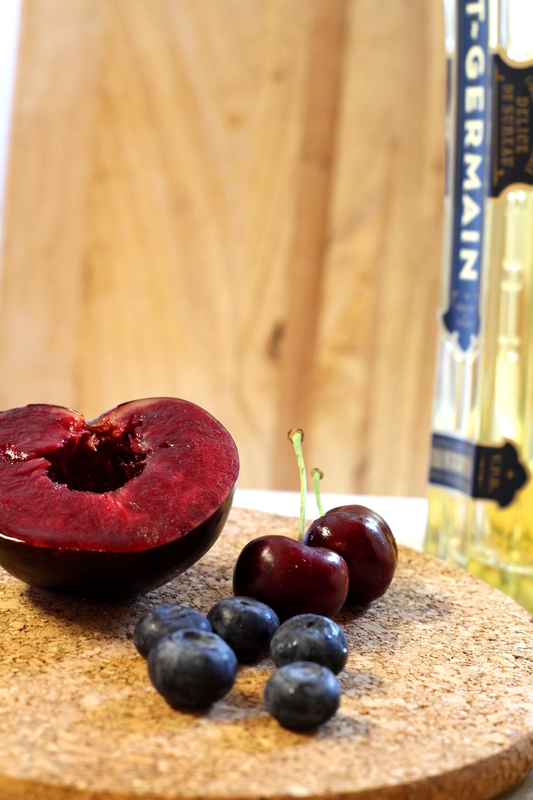 I made the husband pick up a bottle of St. Germain (elderflower liqueur) a few weekends back to make elderflower mimosas for my sister’s birthday. Unfortunately Luckily I had also made a (delicious!) batch of lavender lemonade that morning so the elderflower liqueur went mostly untouched. This left me with the majority of a bottle of elderflower liqueur and no specific plans for it. I’ve just been casually adding it to stuff the past few weeks because it is DELICIOUS. It’s not cheap, but it so fun and fancy. And yummy. And did I mention delicious? I’m practically swimming in cherries at my house so I pitted and halved a few to include with the plums and blueberries. My basic method for making sangria includes a bottle of wine, some fruit, something fizzy, and some type of sweet liqueur. 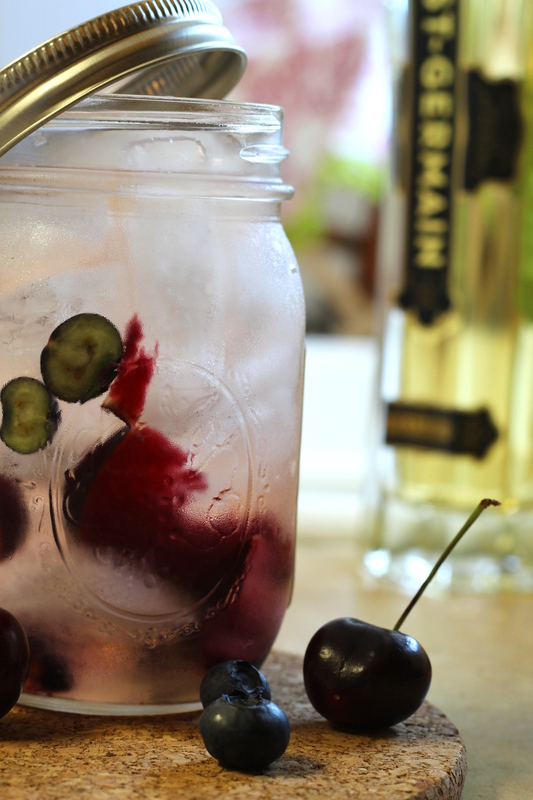 I particularly love doing a red wine sangria with ginger ale and limoncello! I liked that this sangria wasn’t overly sweet, but if you prefer yours on the sugary-side I’d suggest adding extra triple sec. Mix the first 6 ingredients. When you’re ready to serve, add the bubbles pour! I'm so glad you both liked it! I adore sangria - especially during the summer! Reblogged this on Oils, Crowns and Owls and commented: This looks SO delicious!